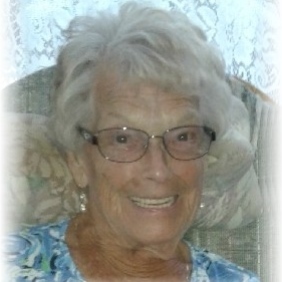 Irene M. Bisaillon, age 95, wife of the late Walter Bisaillon, died on Saturday, April 13, 2019. Mrs. Bisaillon was born in Amesbury, Massachusetts, a daughter of the late Xavier and Amanda Nichols Cote. She was a member of St. James Catholic Church in Conway, SC. Prior to retirement, she was employed in food service by Aetna Insurance. Mrs. Bisaillon was a member of Merry Magnolia Red Hat Ladies in the Myrtle Trace Community. Everyone considered her as their "Memere". Irene is survived by one son, Robert Bisaillon (Barbara) of South Windsor, Connecticut; two daughters, Irene Goodfield (Bryan) of Conway, SC and Priscille Sibley of Terryville, Connecticut; son-in-law, Jacques Akerley of Bristol, Connecticut; seven grandchildren, Todd Akerley, Tammie Lavoie, Nicholas Sibley, Kimberly Sibley, Lisa Bisaillon, Jason Bisaillon, and Kristy Sleight; and six great grandchildren, Brett, Alison, Amy, Kinsley, Benjamin, and Christopher; one brother, Leo Cote of Maine; one sister, Pauline Paquette of Maine; and several nieces and nephews. She was predeceased by a daughter, Claire Akerley; five sisters, Yvonne Steben, Rita Tirrell, Anita Harding, Loretta Auclair, and Jeanette Pare; and four brothers, Roland Cote, Rosaire Cote, George Cote, and Willie Cote. Funeral services will begin from Funk Funeral Home, 35 Bellevue Ave, Bristol, Connecticut on Wednesday, April 24, 2019 at 9:30 AM to St. Gregory Church, 235 Maltby Street, Bristol, Connecticut, for a Mass of Christian burial at 10:30 AM. Burial will follow in St. Joseph Cemetery in Bristol, Connecticut. Relatives and friends may call at Funk Funeral Home on Tuesday April 23, 2019 between 5 and 8 PM. Memorials may be sent to St. Jude's Children's Hospital, 501 St. Jude Place, Memphis, TN 38105-2794. Goldfinch Funeral Home, Conway Chapel is in charge of Local arrangements. There's still time to send flowers to the Service at the St. Gregory Church from 10:30 AM to TBD on April 24, 2019.